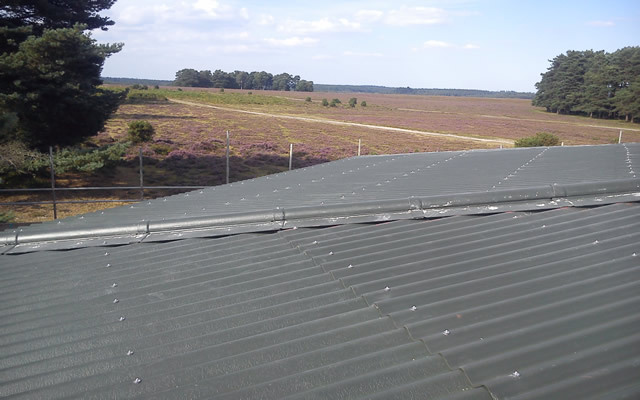 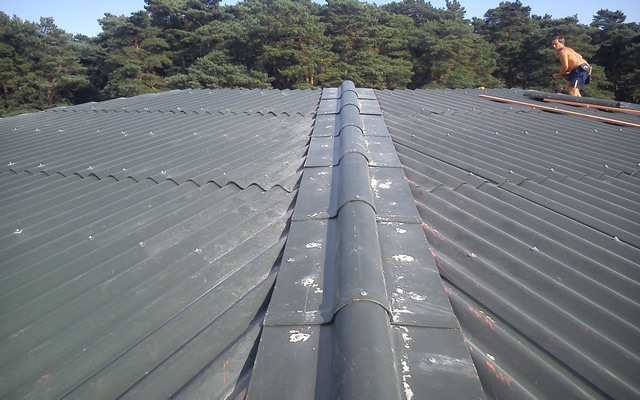 As a roofing specialist, Harris Whitehorn Roofing welcome challenging and unusual one-off roofing projects throughout the New Forest. 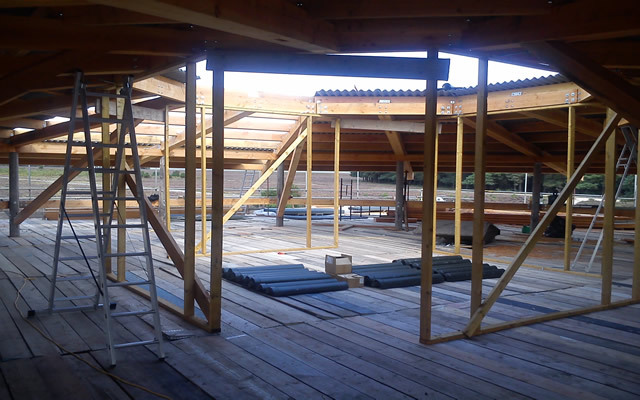 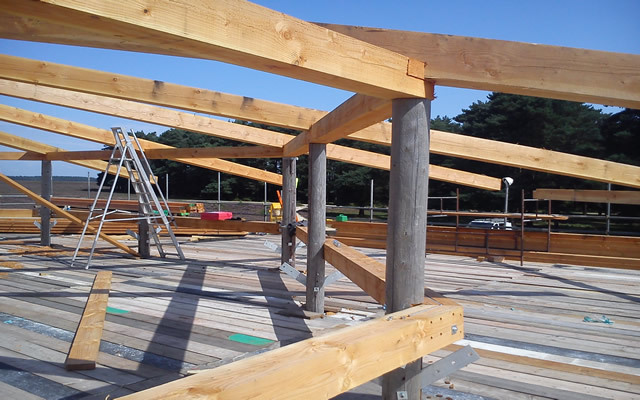 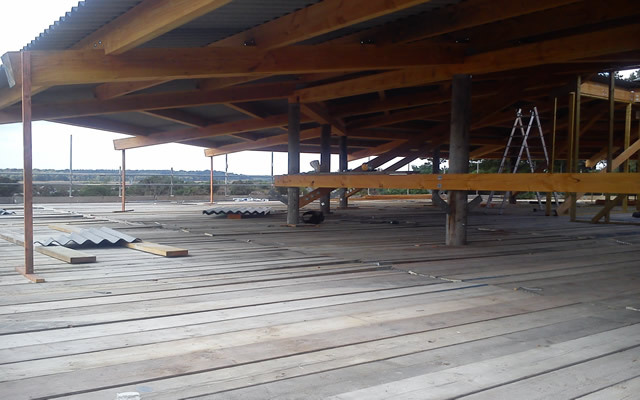 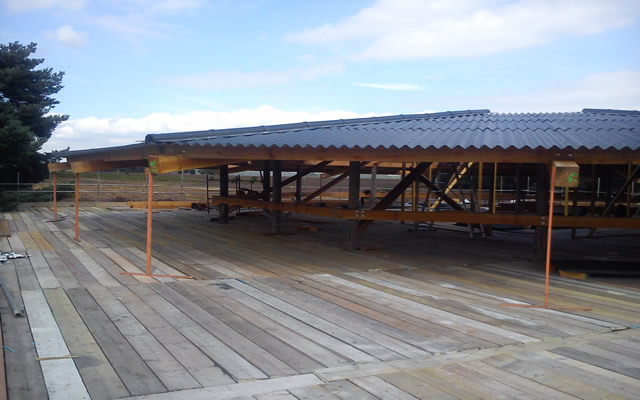 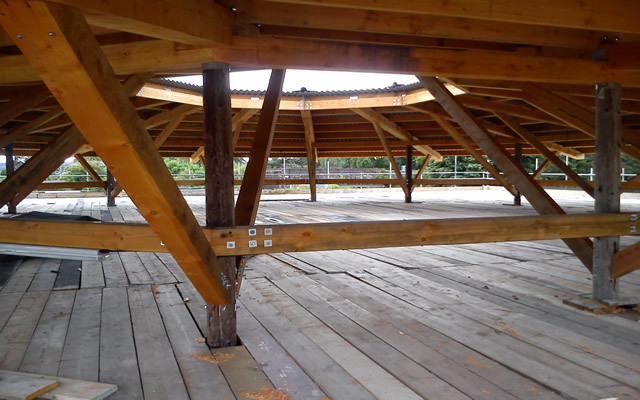 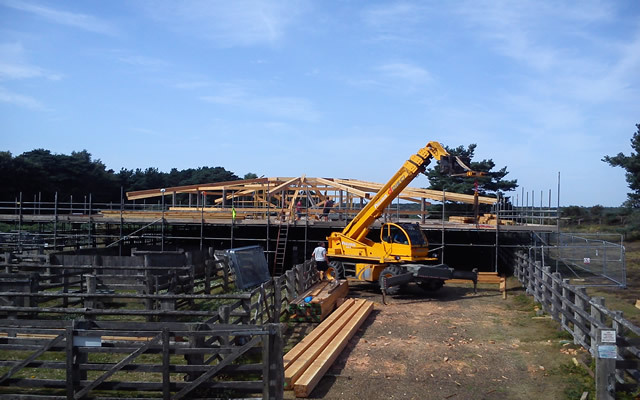 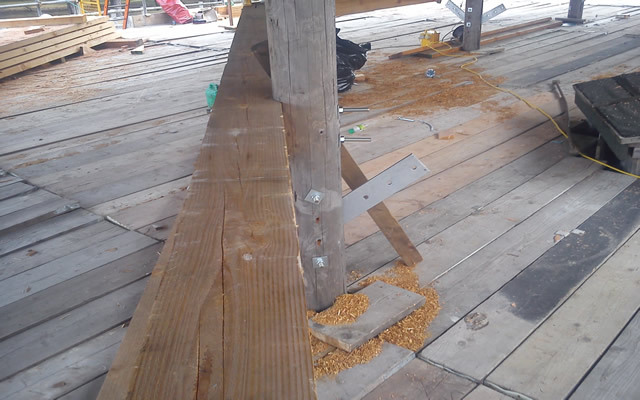 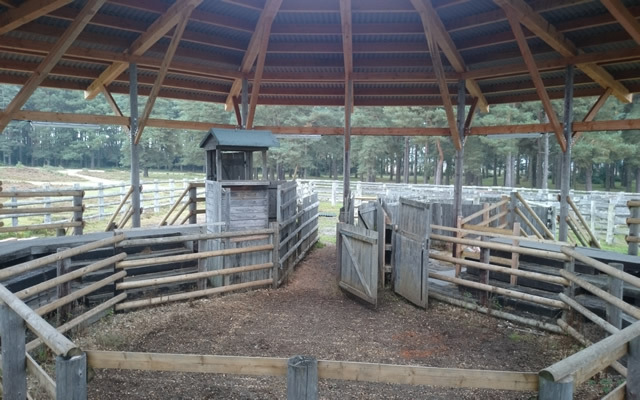 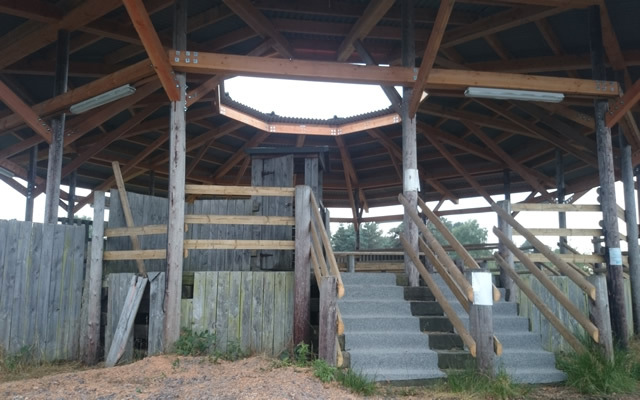 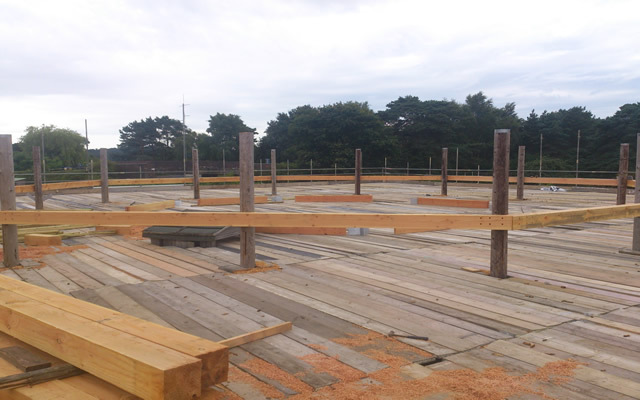 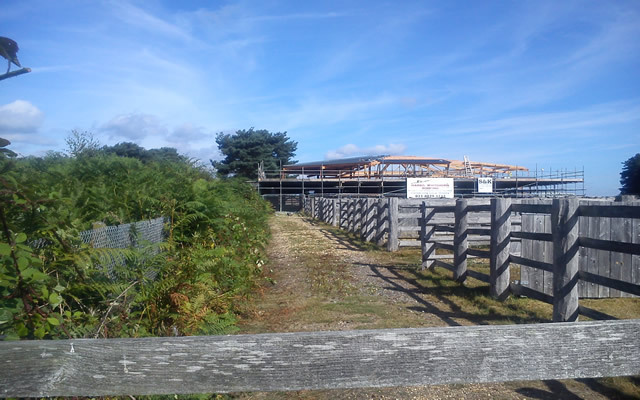 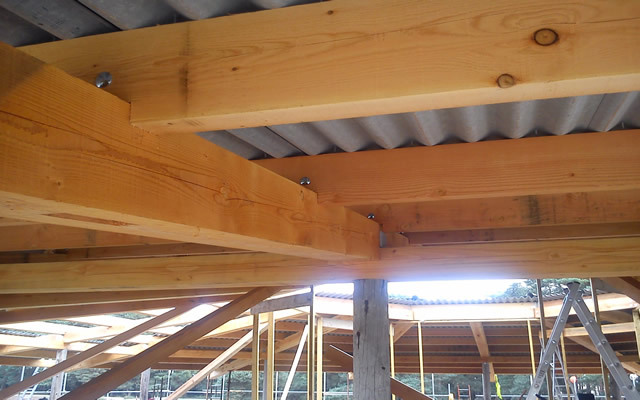 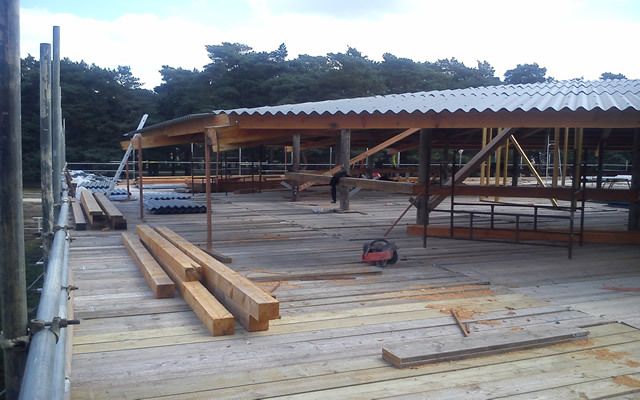 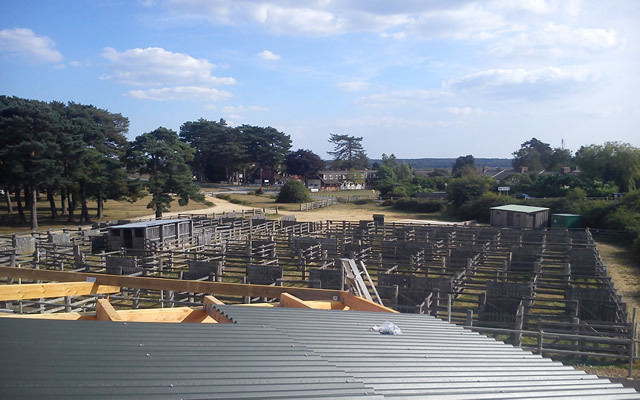 Our brief for the Beaulieu Pony Sales building project was to supply a roof over the Pony sales to cover the area where the traders stand and the auctioneer stands. 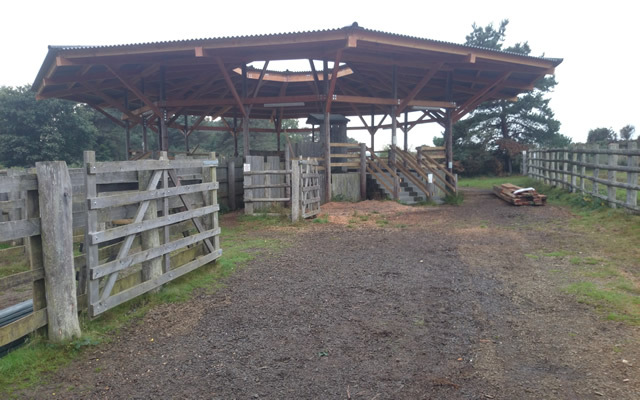 The new roof had to allow natural light down into the selling ring and cover outside the stand area to protect people from the weather. 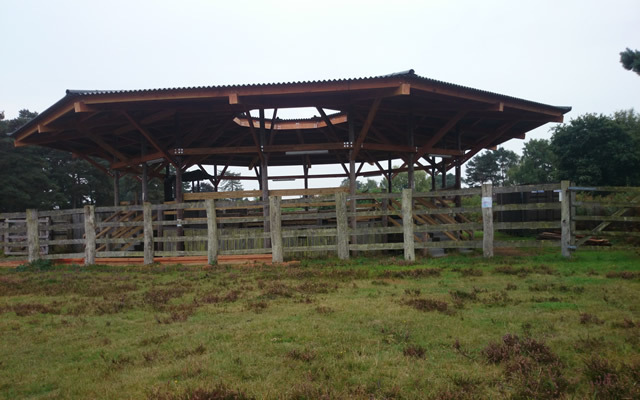 This is the only covered pony / horse sales building of its type in the country. 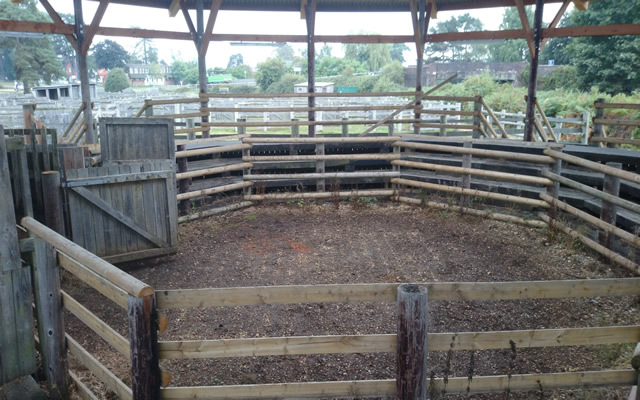 We were required to work from the existing poles set in a ring around the sale area (placed two / three years prior to settle in place). 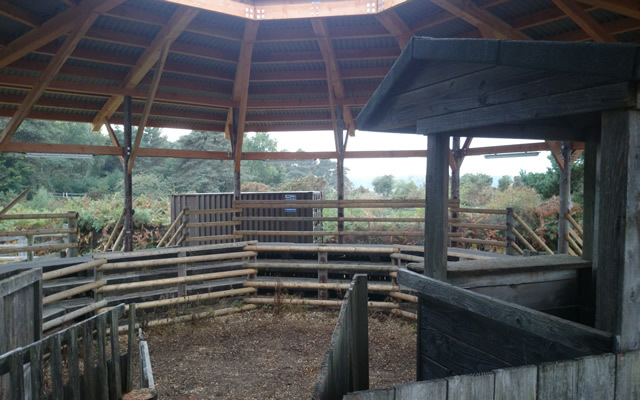 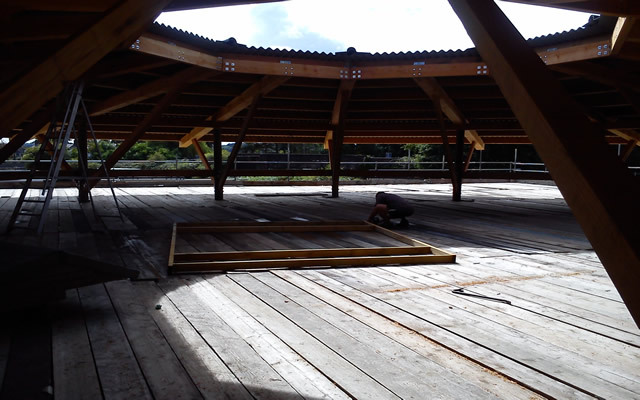 All the timber used was Douglas Fir supplied locally from the Forestry commission, and cut to shape in local saw mill. 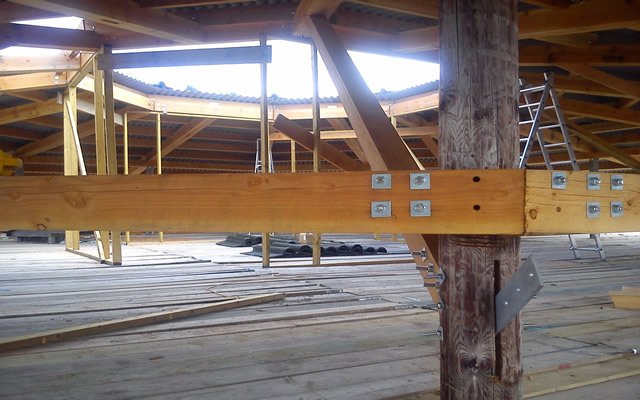 To achieve the brief given, we built one smaller ring beam at the top and one main ring beam set on top of the existing poles. 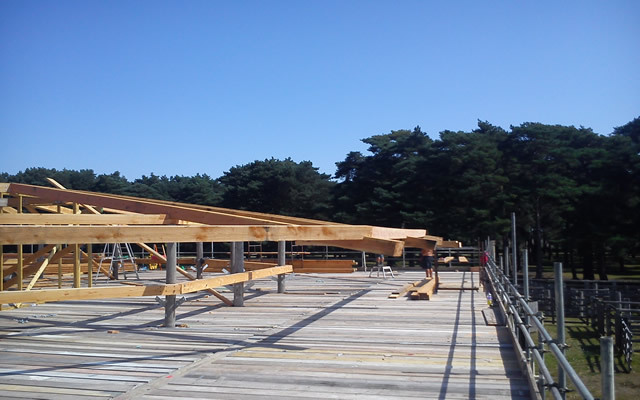 Due to their size, all main rafters were lifted into place using a crane. 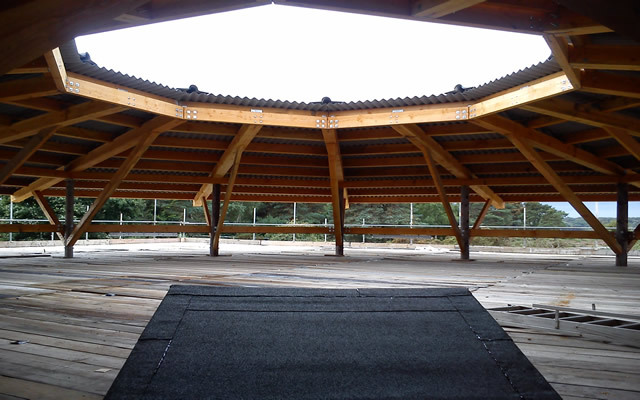 We also supplied and fitted a natural colour fiber cement sheet with hip coverings to minimize the noise from the rain. 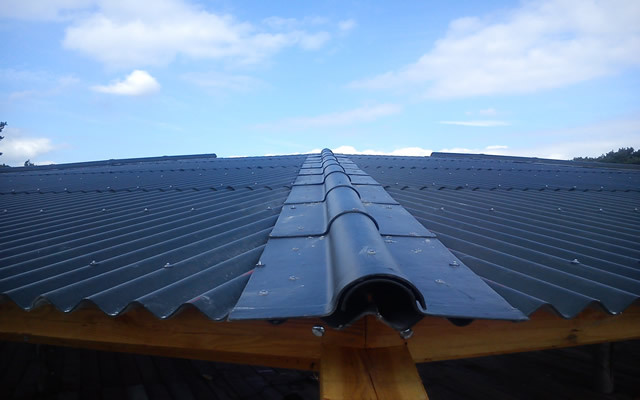 Lighting and guttering were supplied to finish. 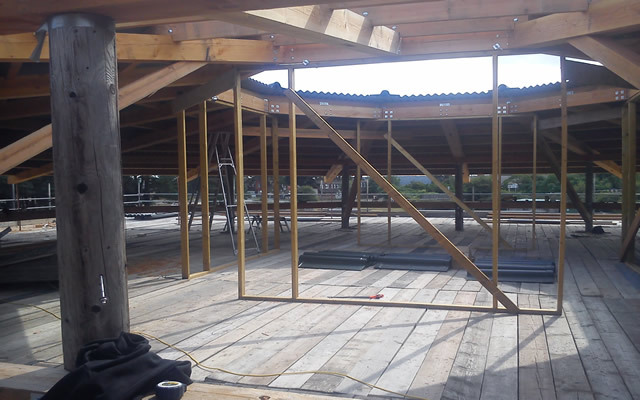 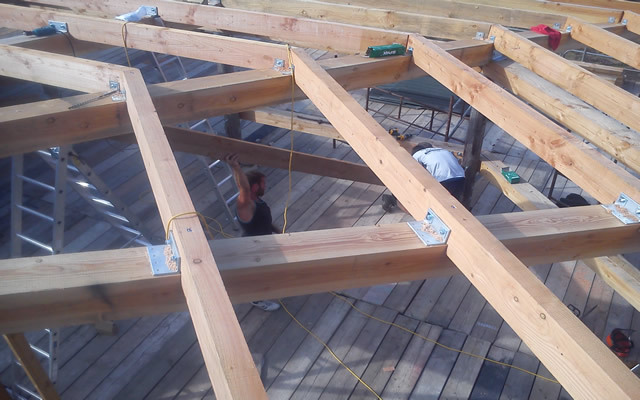 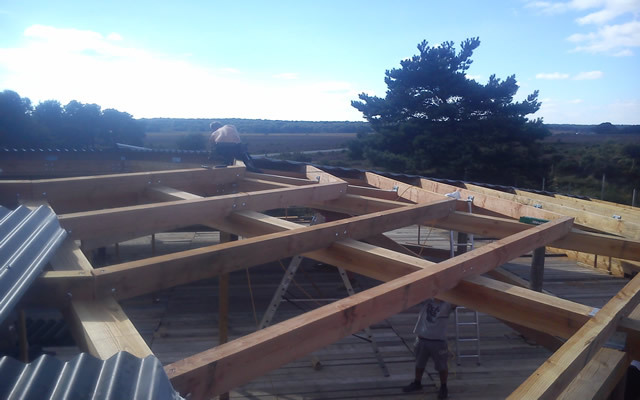 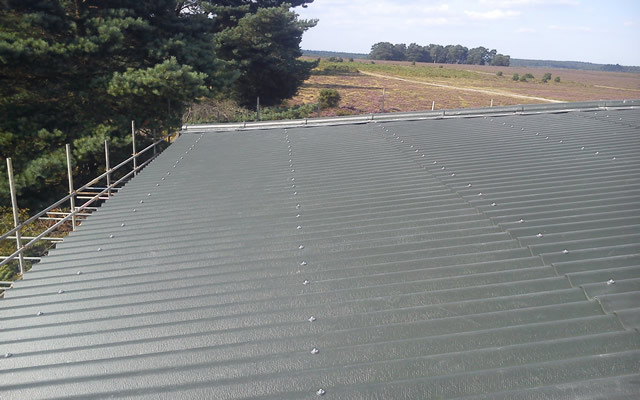 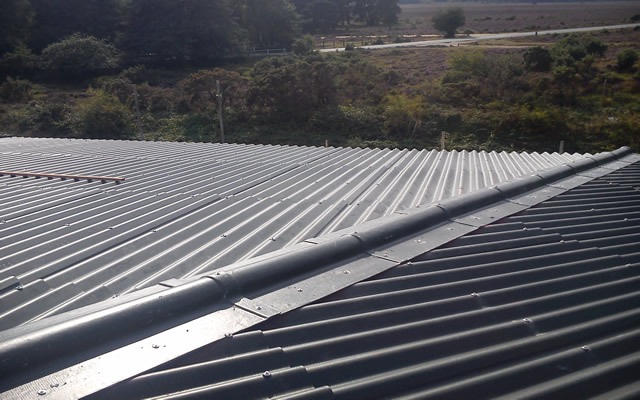 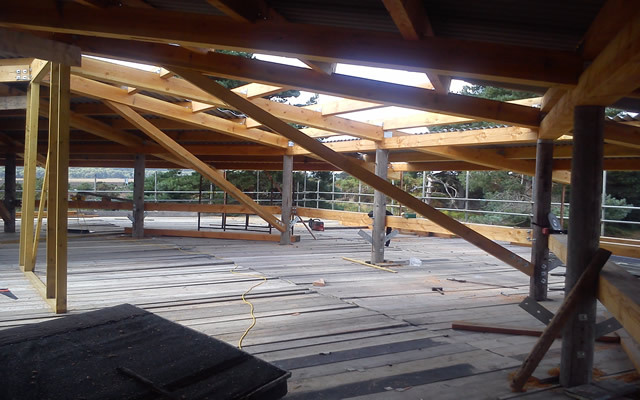 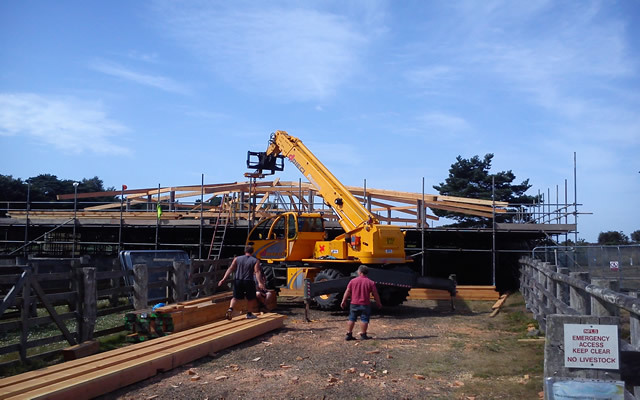 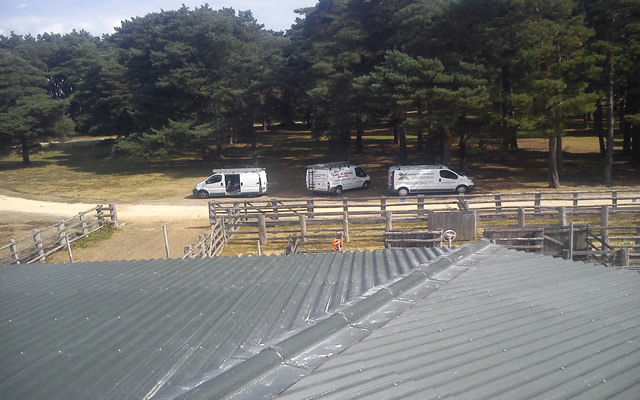 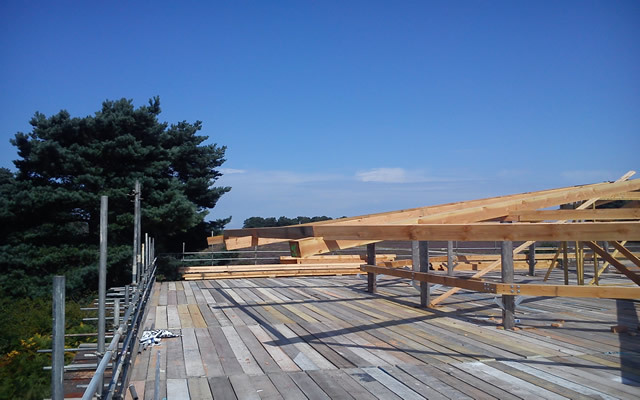 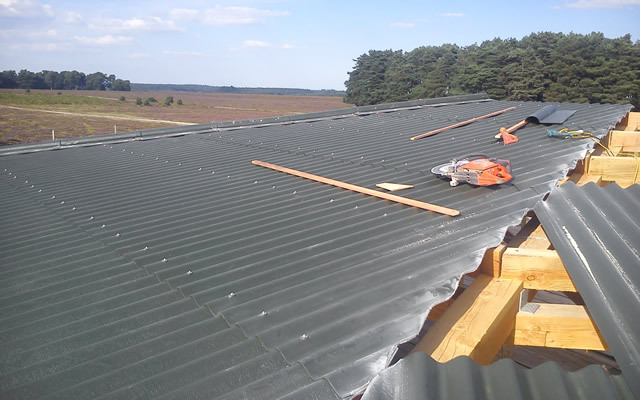 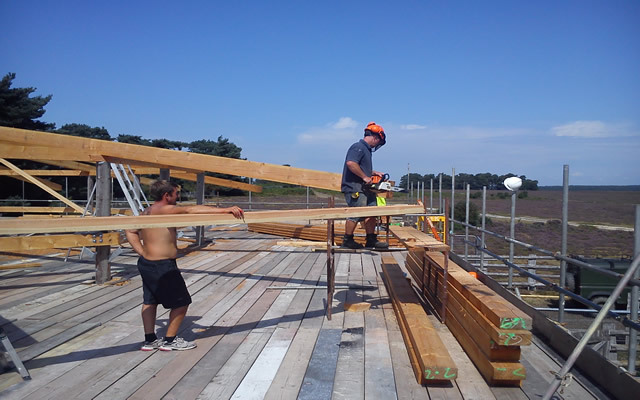 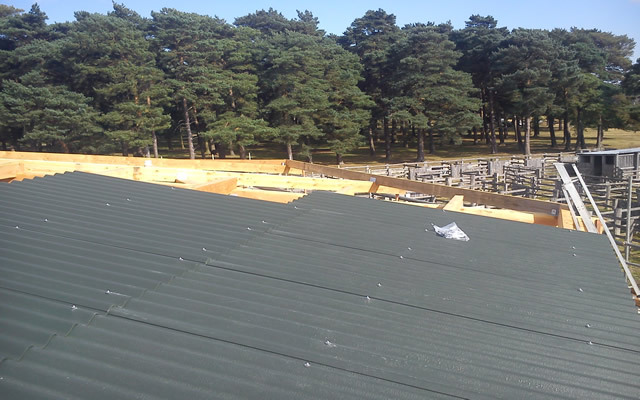 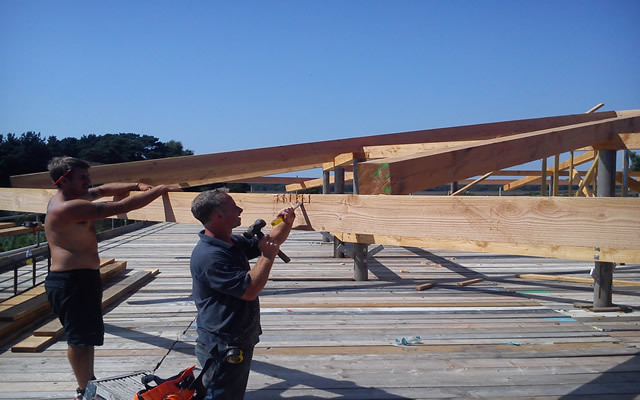 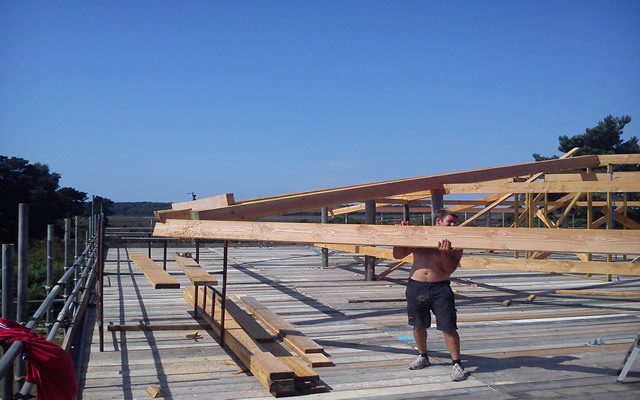 Harris Whitehorn Roofing have worked on many roofing projects throughout the New Forest where custom and specialist rafters and roofing are specified. 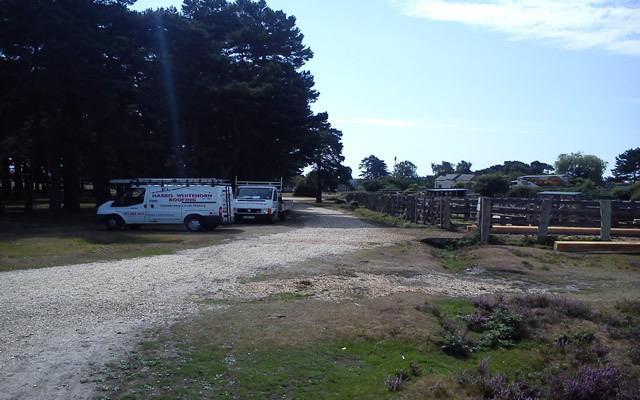 Within this sensitive area of the country, we are able to assist sourcing and fitting of specialist materials. 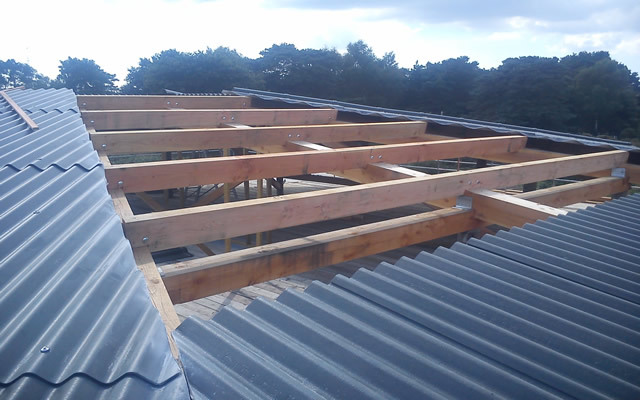 Please see our project photographs below, or for more examples of our work follow the links at the top of this page. 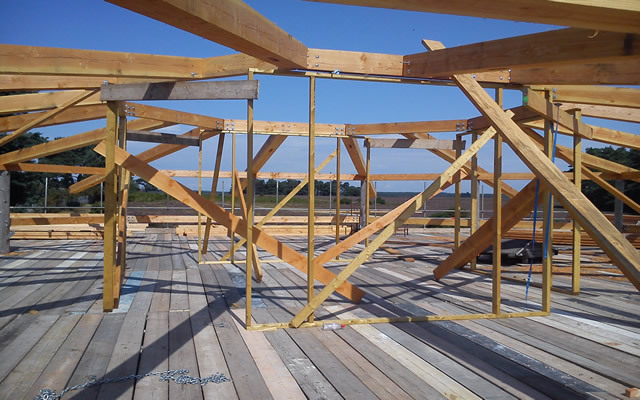 Click to enlarge the case study images and launch the project gallery.